Fiber optic transmitters are used to launch the communication signals in the form of light through an optical fiber. 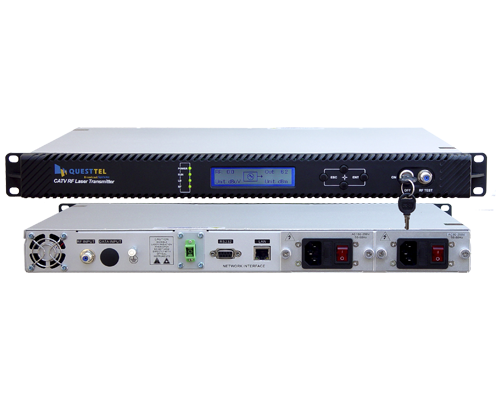 Fiber optic transmitter is an electro-optic device that converts electrical signals to optical signals. The electrical signals coming from the communication device such as a telephone receiver, computer, fax machine etc are converted into equivalent optical signals and then launch into the optical fiber that carries the light all the way its length to the receiver. The circuit at the interface of optical transmitter receives the electrical signal and processes it so that the signal complies with the source drive circuit. The source drive circuit intensity modulates the optical source by varying the current. The optical signal thus coming out of the drive circuit can be coupled in the fiber through the output interface of the transmitter. 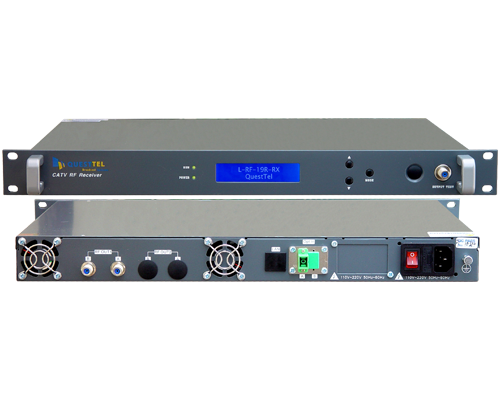 An optical transmitter can be an Light emitting diode, LED or Laser diode, LD. The output light from light emitting diodes is not coherent like that from Laser diodes. Both LED and LD are semiconductor devices. Compact design, reliability over a wide range of environmental conditions and mechanical stresses are some of the important desired characteristics expected out of the optical transmitters. Light emitting diodes are cheaper than Laser diodes. Basically Light emitting diodes are also laser diodes, but without a fabry-perot cavity. The absence of Fabry-Perot cavity explains why Light emitting diodes are cheaper than Laser diodes. Manufacturing of Laser diodes involves organizing the Fabry-Perot cavity that includes cleaving and polishing two sides and sawing the other two ends of the device. This manufacturing process makes the Laser diodes costlier than Light emitting diodes. Light emitting diodes have simple design compared to Laser diodes. The spectral width of LED output light is more than that of Laser diode. LED spectral width may be in the range of 30nm to 60nm. Input light from an LED is weak. Since they have simple design and lower cost, LEDs are preferred choice where cost comes in to the priority. LEDs used for optical communications are made from Gallium Arsenide Phosphide or in short GsAsP or Gallium Arsenide (GaAs in short). GaAsP light emitting diodes operate at longer wavelength compared to GaAs diodes. LEDs are used in local area optical networking, which is a short distance network that runs a few kilometers. Recently, Vertical Cavity Surface Emitting Laser (VCSEL) devices are replacing the role of LEDs, that also with improved speed and spectral characteristics at almost similar cost. Light emission happens by stimulation in a semiconductor laser and results in high output power. Laser output light is narrow, coherent and the coupling efficiency is around 50% or more while launching to a singlemode fiber. 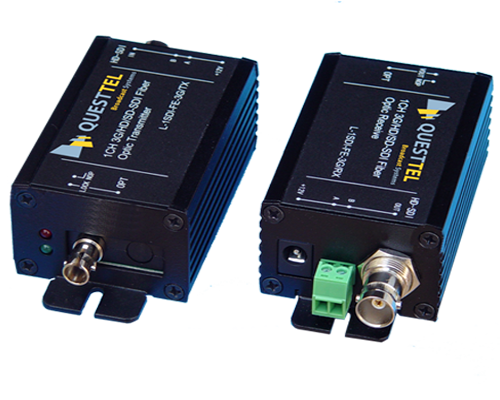 Since the laser output is narrow the dispersion effects are less and it can be used for high bit rate transmission. Two of the most commonly used semiconductor laser transmitters are Fabry-Perot laser and Distributed Feedback, DFB laser. Laser diodes can be modulated directly. Direct modulation means the output light is controlled by the current applied directly to the device. Semiconductor laser diodes are used in the long-haul optical transmission.